I cannot believe that I have not posted for 2 weeks! Must be that all of my energy is going into shoveling snow and attempting to stay warm. We are on the 3rd snowiest winter ever, and it is not yet halfway through February. Everyone is hoping that we do not break the record books. 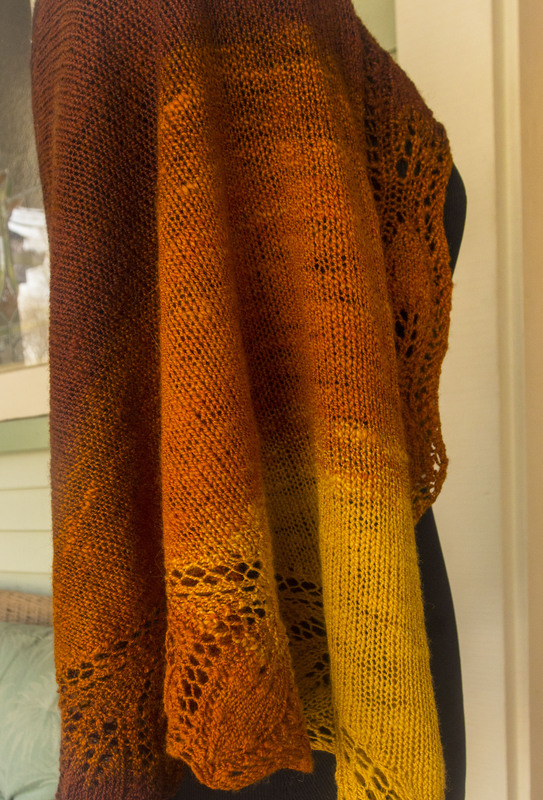 During this hibernation phase, I have finished up my Semele shawl using the Honey to Fig gradient from Fiber Optic that I spun last Fall. 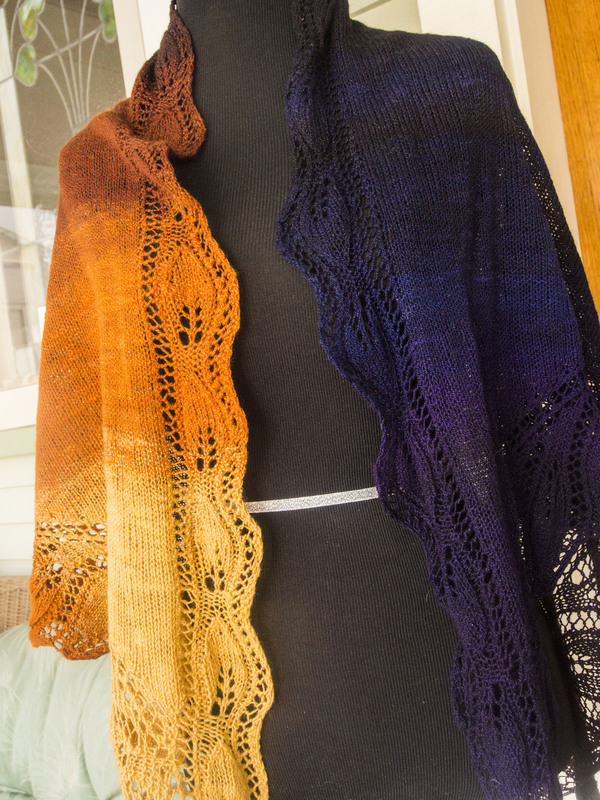 There were several false starts with various patterns, so the real knitting with the final pattern chose actually was only about 2 weeks. 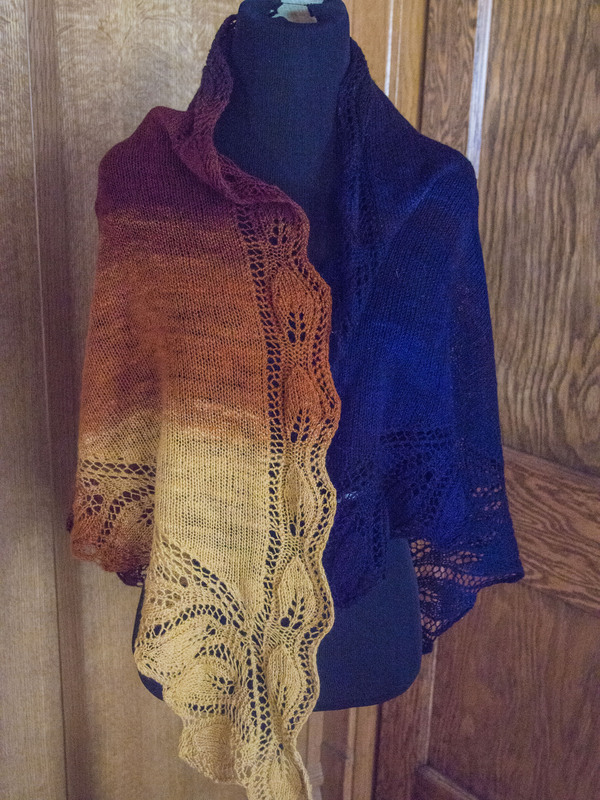 Having a pattern that was knit from side to side for this gradient became an obsession with me, not quite sure why. 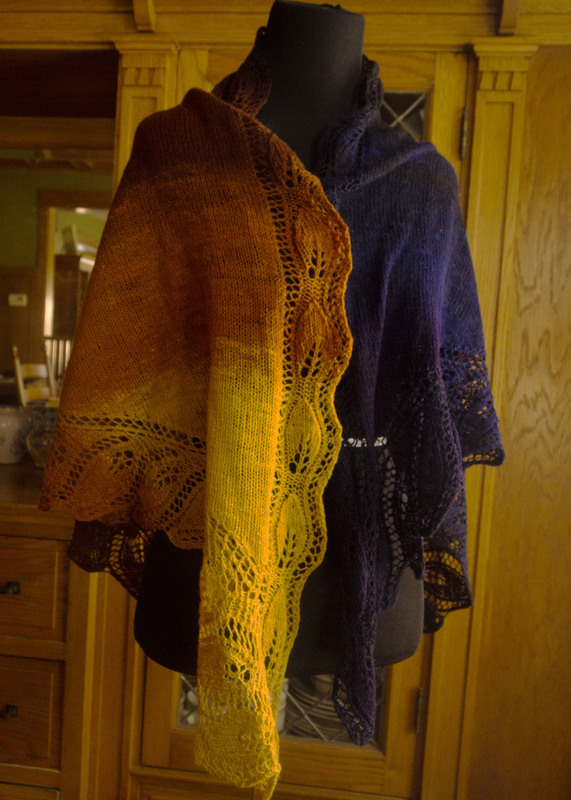 Three different patterns were tried before I settled on Semele, and I couldn’t be happier with the results. 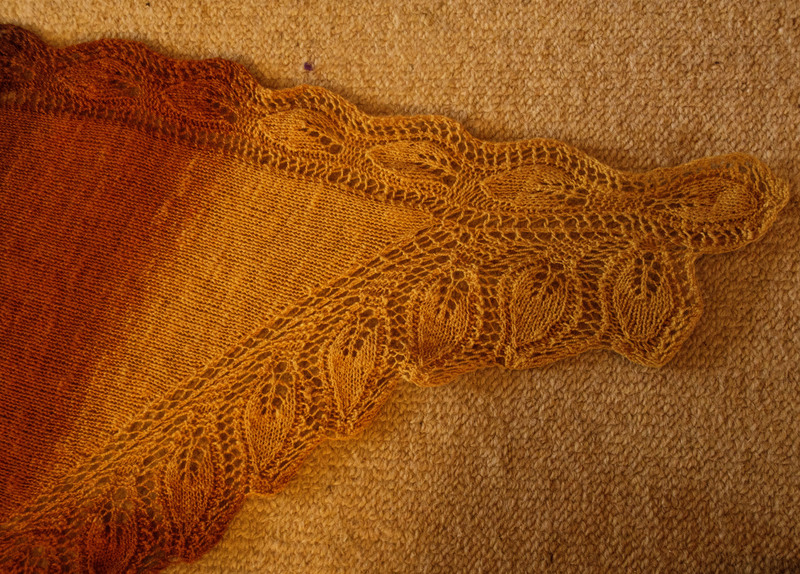 This pattern allowed me to knit 1/2 of the shawl increasing and then start to decrease. Either my calculations were incorrect, or the 2nd half of the braids were spun thinner. 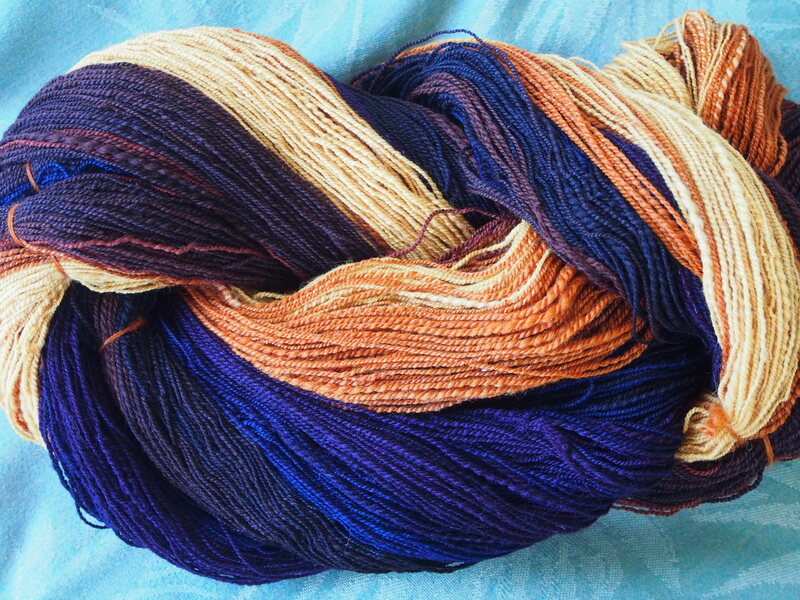 In either case, I am still happy and I have some leftover deep purple for future use. Here is a photo blast for this yet again cold day. Colors were hard to capture, as it went from a golden-yellow to a very deep purple. First I love the name–definitely one that you need to keep for yourself. 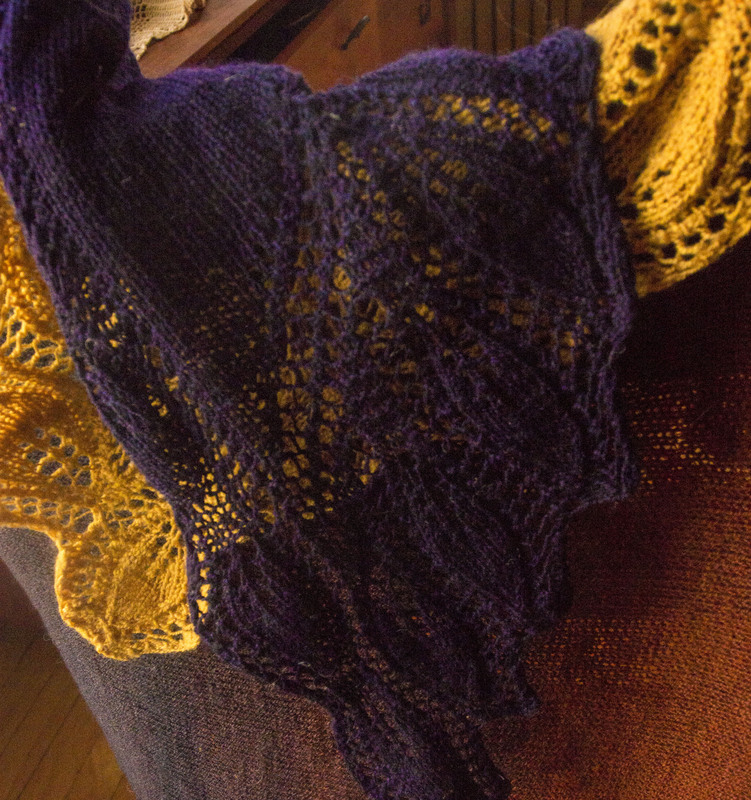 I also love the colors and the edging, it turned out beautiful. As always, you did a great job! I love this yarn. I have just started spinning myself. 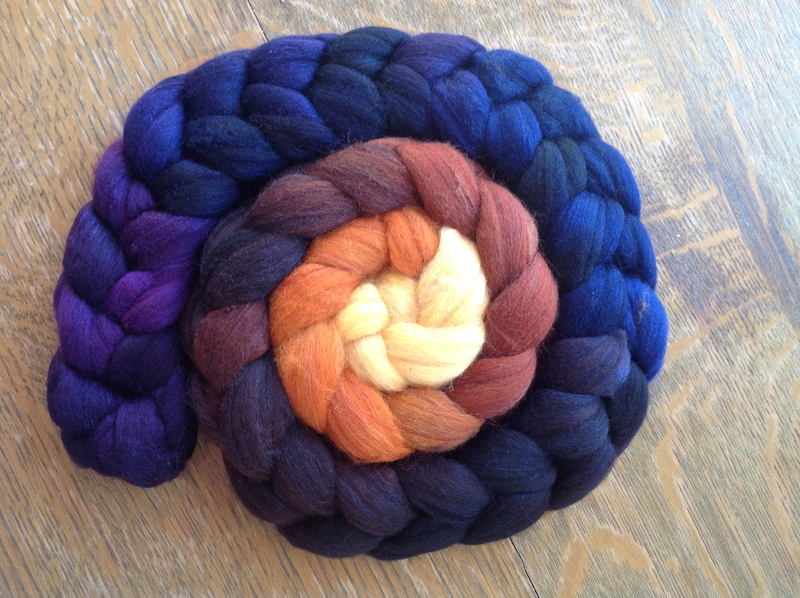 How do you spin the fiber so the color stays together so you get an ombré look? Thank you! If you spin your fiber evenly, regardless of the weight, the colors will match with Kimber’s fibers. If there is some overlap, I leave it to allow for more transition (which I prefer), if there is too much I break off a section (but usually not). Hope that answers your question. Her fibers are so beautiful, they always look great spun up.